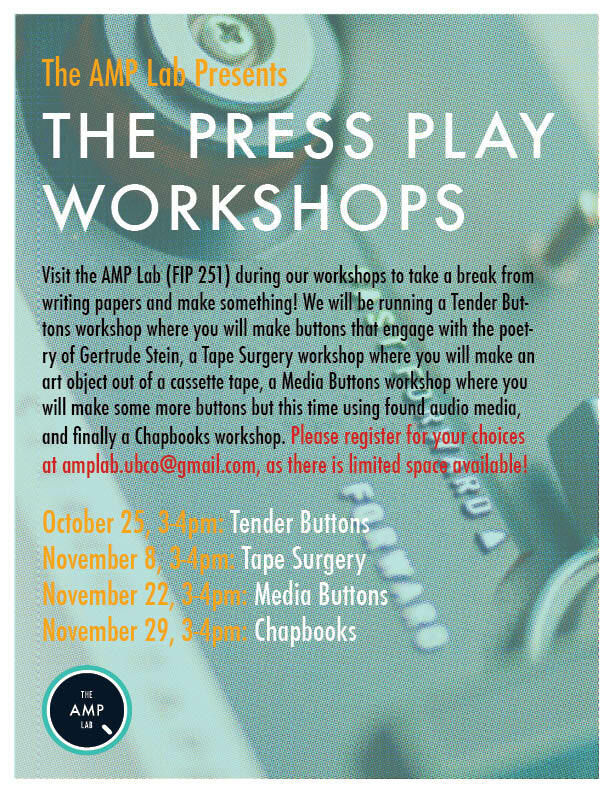 Visit the AMP Lab (FIP 251) during our workshops to take a break from writing papers and make something! Be sure to register at amplab.ubco@gmail.com because space is limited! 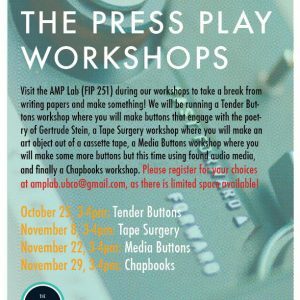 This week the lab is hosting a Media Buttons workshop where you will get to make your own buttons by collaging found audio media. The workshop is led by Karis Shearer and Caitlin Voth.